A goal for all students is to complete their secondary education. In South Australia this means completing the SACE certificate which gives credit for work studied in the senior years of schooling. 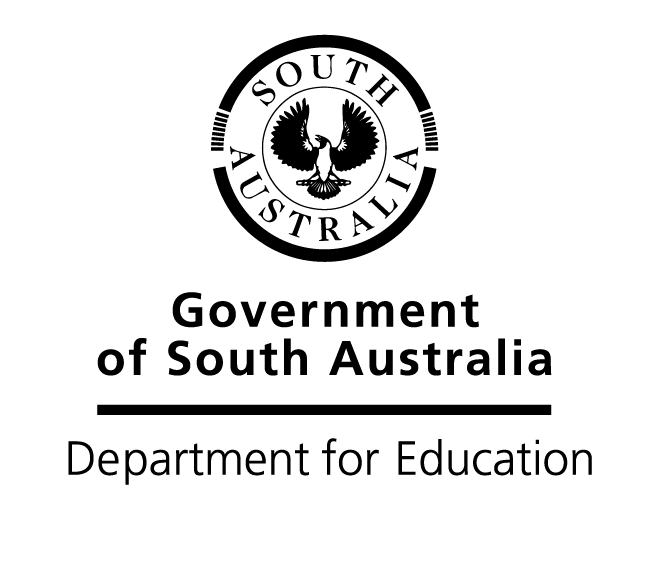 The South Australian Certificate of Education (SACE) is a certificate awarded to students who successfully complete their senior secondary education. Students from both government and non-government schools are eligible for the SACE, which is administered by the SACE Board of South Australia. Students studying for the SACE undertake a balanced course of subjects usually over two years – Stage 1 (Year 11) and Stage 2 (Year 12) starting however, with the PLP in Year 10. 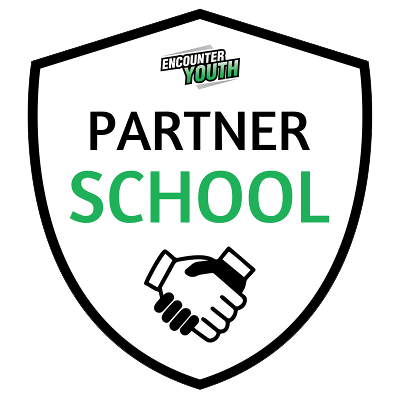 Students who successfully complete the requirements of the SACE will receive a certificate that shows that they have formally completed secondary schooling. Students may take more than two years to gain the SACE. There is no time limit, only as long as it takes to complete 200 credits of study, some of which are compulsory. SACE subjects are assessed by means of Performance Standards and the grades A, B, C, D, E, and N are assigned at Stage 1 and A+, A, A- …. E+, E, E-, I apply at Stage 2. N indicates no work has been submitted or E grade has not been achieved at Stage 1. 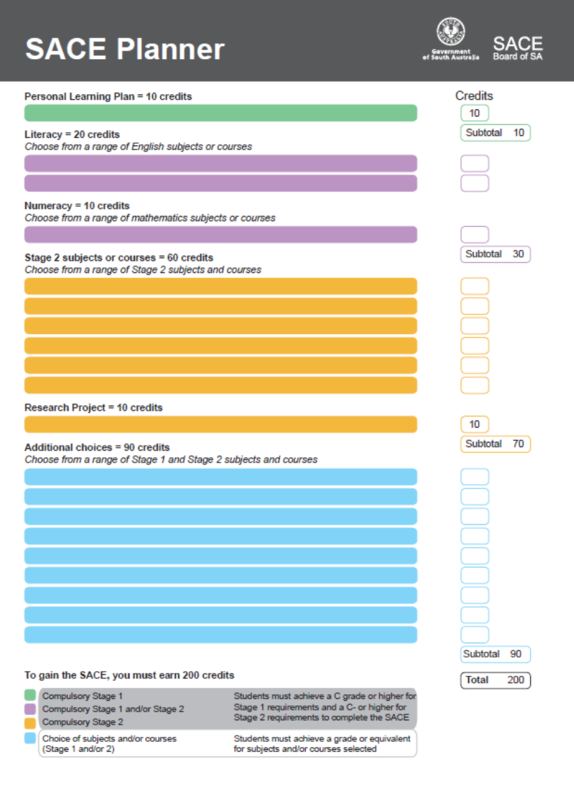 At Stage 1, students must achieve a C grade or better to achieve their SACE. The SACE Board will moderate Stage 1 English and Mathematics subjects to confirm each ‎school’s use of the performance standards before students receive their final grades in the ‎subject. 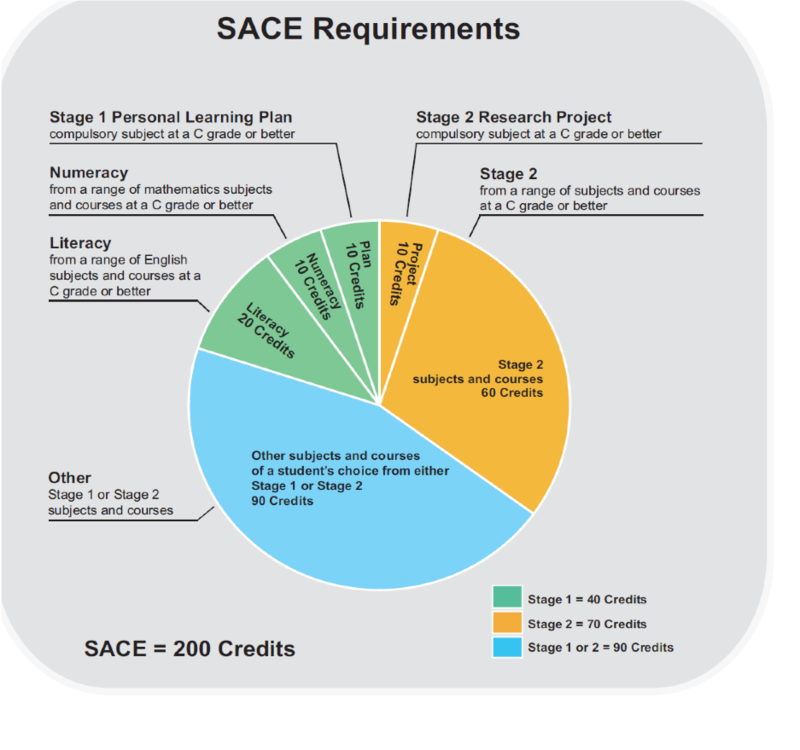 How can I qualify for the SACE? There are a number of compulsory areas of study in the SACE and students must achieve a passing grade, ie C or better, in these subjects in order to receive their SACE. Stage 1, which usually begins in Year 10, with students studying the Personal Learning Plan, and continues through Year 11. Stage 2, which is usually undertaken in Year 12. Each subject or course that is ‘successfully’ completed earns ‘credits’ towards the SACE. Students receive a final grade from A to E for each Stage 1 subject and A+ to E- for Stage 2 subjects. achieve a C- or higher in the Stage 2 compulsory subjects. The remaining 90 credits can be gained through additional Stage 1 or Stage 2 subjects or Board-recognised courses (such as VET or community learning) of a student’s choice. Detailed assessment plans will be given to all SACE students by their subject teachers at the beginning of each course of study. The assessment section gives a broad outline only of assessment expectations. The SACE Board requires all schools to follow a common assessment policy for students doing the SACE. The SACE Board requires “that assignments or work requirements not presented at the expiration of deadlines must be awarded a zero (0) or “Not completed” for summative student achievement record purposes”. Findon High School staff will therefore set deadlines for summative work. Deadlines can be re-negotiated with teachers, but only where there is a genuine reason, and before the due date for that assessment item. Success in study at school is strongly supported by hard work, and this includes regular homework. Although time spent on homework will vary depending on how successful students want to be, students in Years 11 and 12 should do 2-3 hours per night for five days of each week. Homework includes preparation, completing work, practising skills, revision and assignment work over a period of time. Students may also gain SACE units from their learning which is a result of following a structured, accredited, community-developed program and/or the result of following a personal learning program which is considered to be “community learning” and/or from completing Vocational Education & Training course and/or School Based Apprenticeships. Students will be informed via the SACE coordinator. This learning must be the equivalent of the learning expressed in SACE Board accredited subjects. Principal Tours are scheduled for Week 5 of every term in 2019. As Open Day is Everyday individualised Principal Tours can be coordinated through Natalie Critchley. Ph. (08) 8346 3411 Open Monday to Friday 9am – 4.30pm or from their online store.